493. 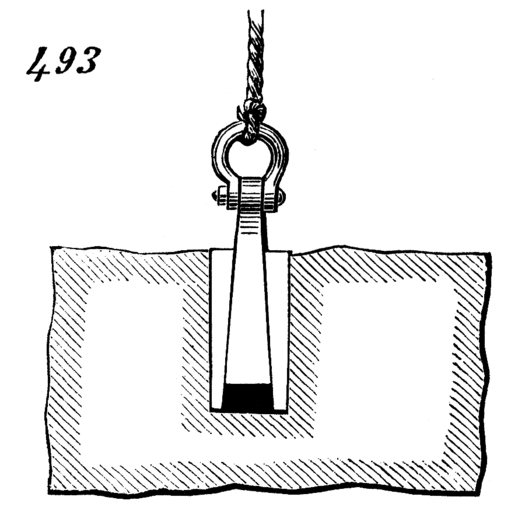 “Lewis,” for lifting stone in building. It is composed of a central taper pin or wedge, with two wedge-like packing-pieces arranged one on each side of it. The three pieces are inserted together in a hole drilled into the stone, and when the central wedge is hoisted upon it wedges the packing-pieces out so tightly against the sides of the hole as to enable the stone to be lifted.